The Zebra Technologies portfolio of accessories extends your capabilities and enables you to lower the total cost of ownership of your Zebra barcode scanner. The adjustable Intellistand makes it easy and convenient to scan. It supports the LS34xx and DS34xx series Rugged Scanners. White/Cash Register White Gooseneck Intellistand for the LS2208. Black/Twilight Black Gooseneck Intellistand for the LS2208. 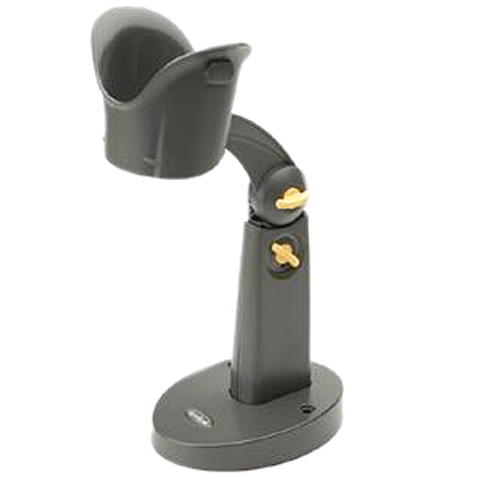 This adjustable stand designed for the DS67xx series scanners lets users switch instantly between handheld and hands-free scanning. Gooseneck Intellistand, white with black tube. White/Cash Register White, hands-free gooseneck stand for the LS1203 and LS1203-HD.